Currently, McPhail is a senior policy analyst for the Capital Markets Branch at the Federal Deposit Insurance Corporation. 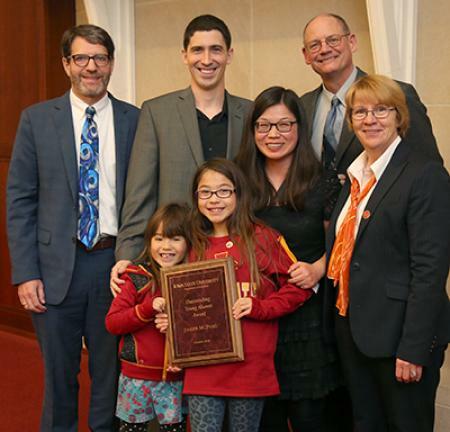 He lives in Washington D.C. with his wife (and fellow ISU alum) Lihong McPhail and their two daughters. Also shown: Joshua Rosenbloom, professor and department chair, Peter Orazem, professor, and Beate Schmittmann, dean.